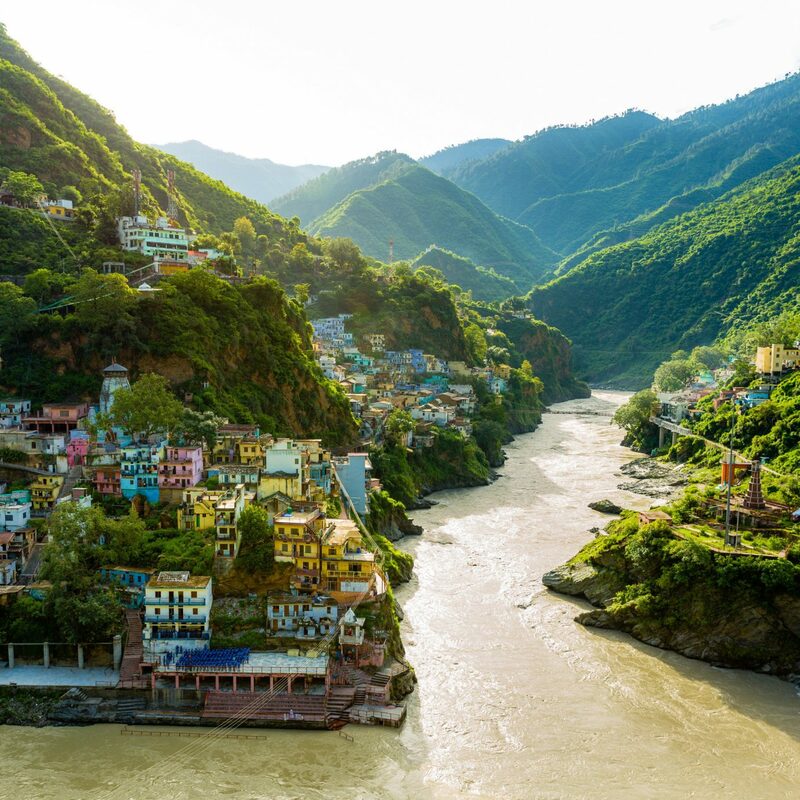 Welcome to our list of the world's 29 most beautiful places. Our job may be travel, but most of the time, we're just like you — stuck behind a desk M-F, 9 to 5 and dreaming up our next trip. 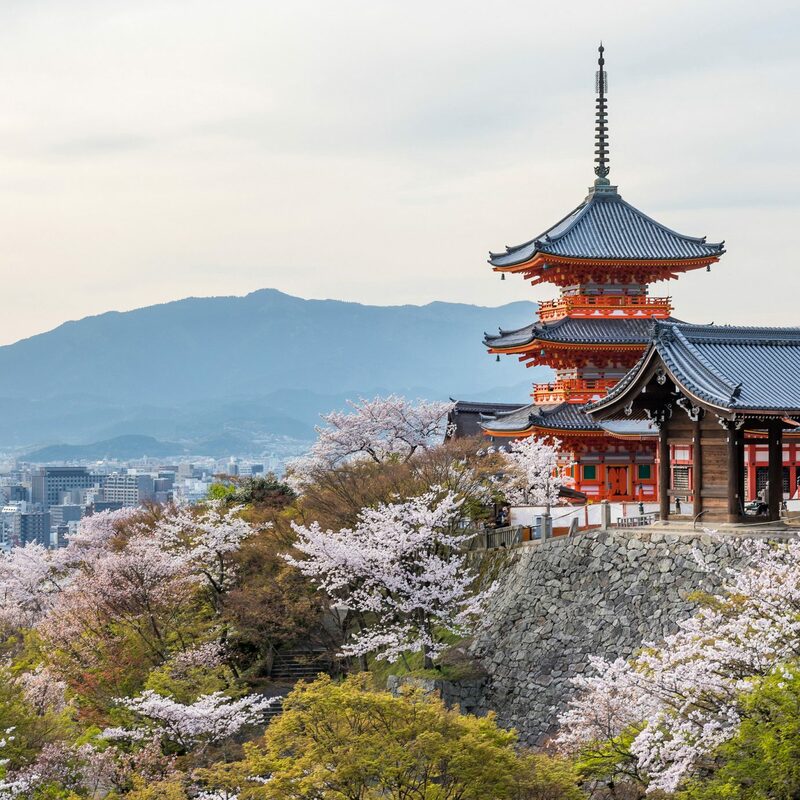 So we've compiled this incredible list of spots we're dying to visit. We hope they inspire you, too. Nobody enjoys breaking a sweat in those dreaded, crowded gyms. Instead, why not stretch our muscles on a hike around Patagonia’s craggy mountains and crystal clear glacial lakes. 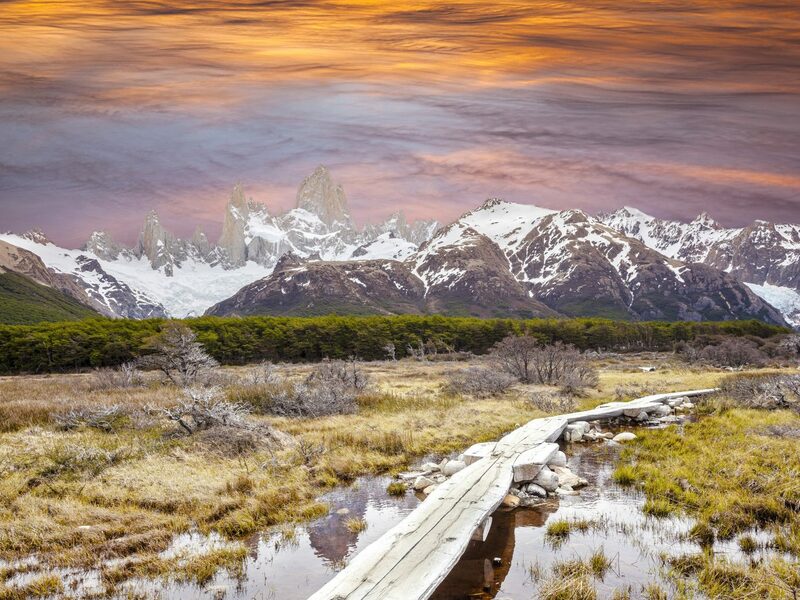 The trail to the granite peaks of Torres del Paine is the most scenic in Chile’s national park. 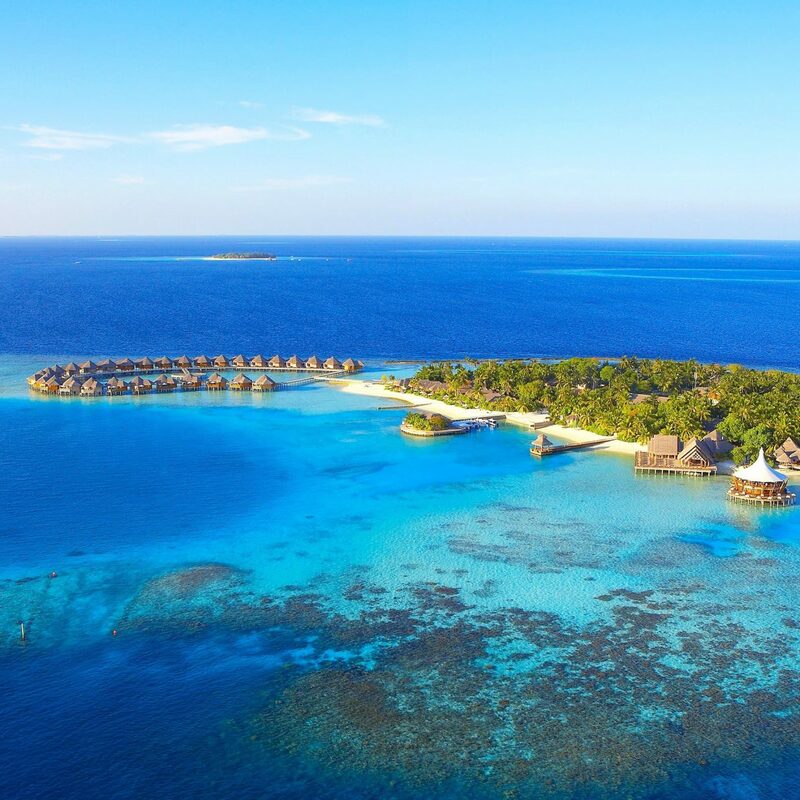 Blue, blue and more blue – as far as the eye can see. But no, we're not talking about the ocean. 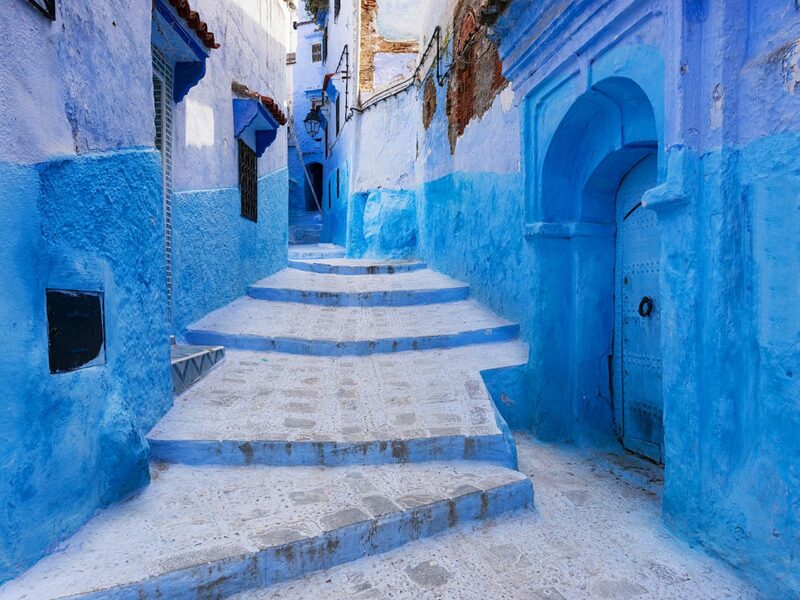 Old Town Chefchaouen, in northwest Morocco, stuns unlike any other with its mosques, houses, lamposts and even trashcans all awash in spellbinding azure hues. We could use a dose of adventure, and there’s nothing more adrenaline-inducing than soaring over a canyon. 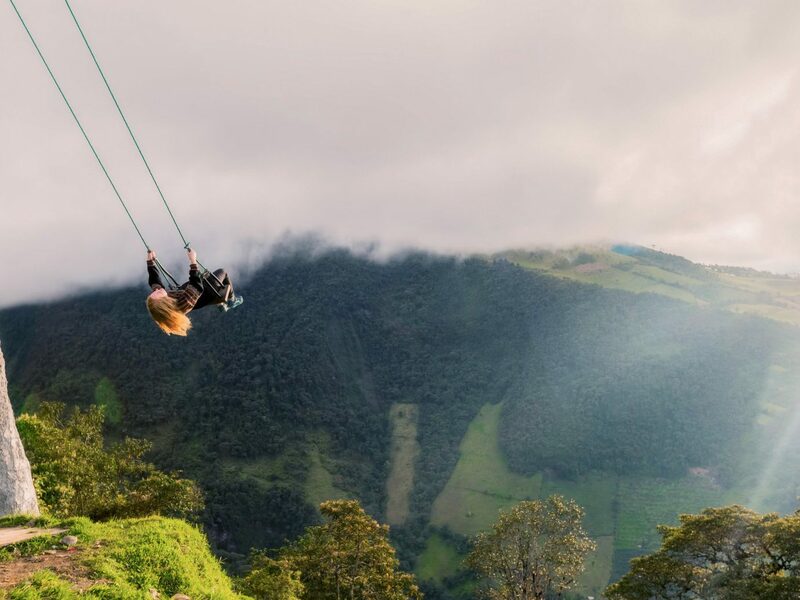 This swing (which has no safety feature, harness or net) is attached to a whimsical tree house called Casa del Arbol and overlooks an active volcano, Mt. Tungurahua. 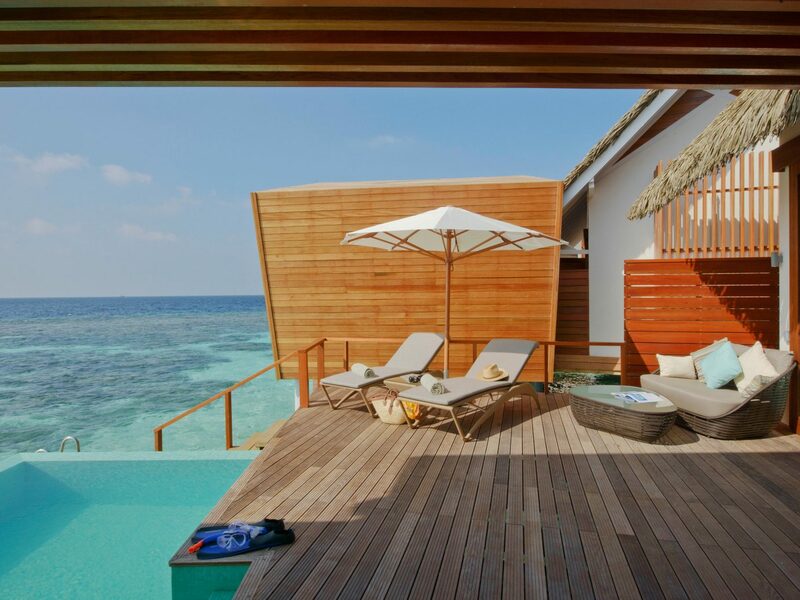 A little sun, a private deck complete with a pristine plunge pool, and a whole lot of crystal clear ocean in every direction. 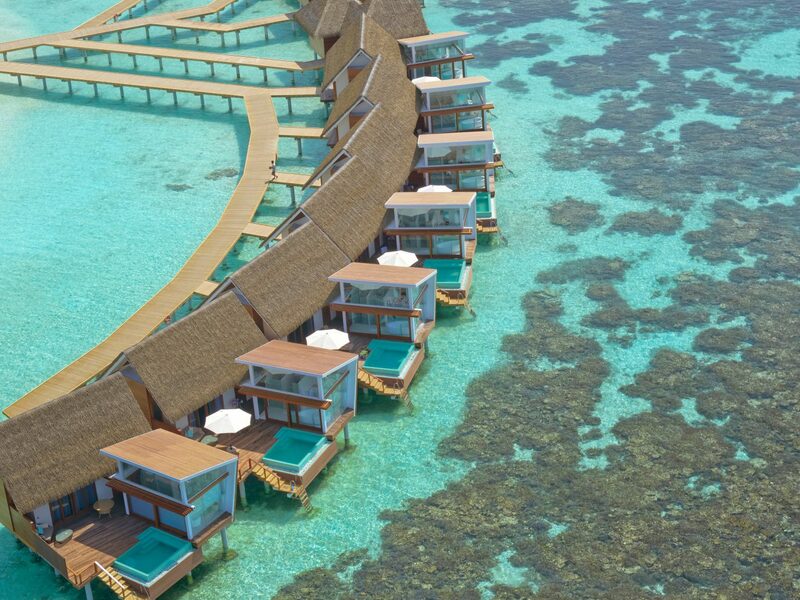 This is the stuff inspirational travel Pinterest boards and real life Maldives vacays are made of. 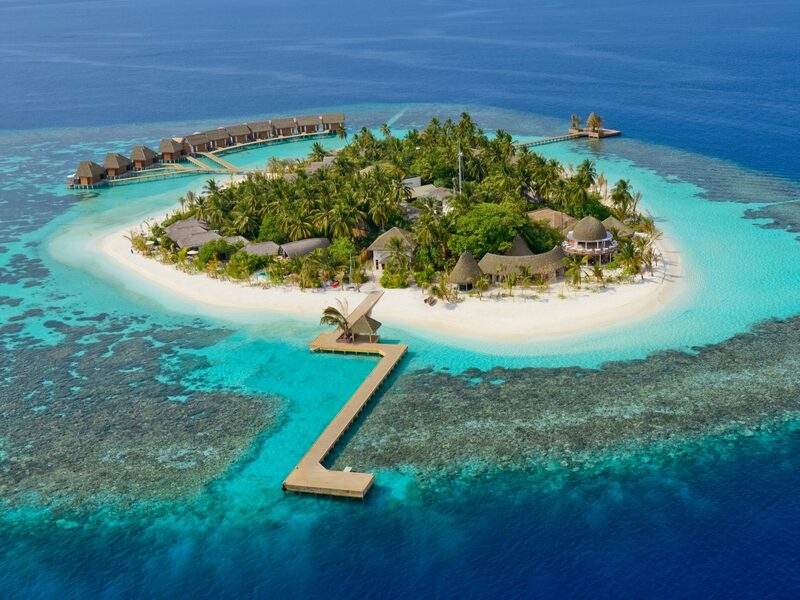 Given the choice, we'd be touching down at our own plush villa at Kandolhu Island via seaplane. 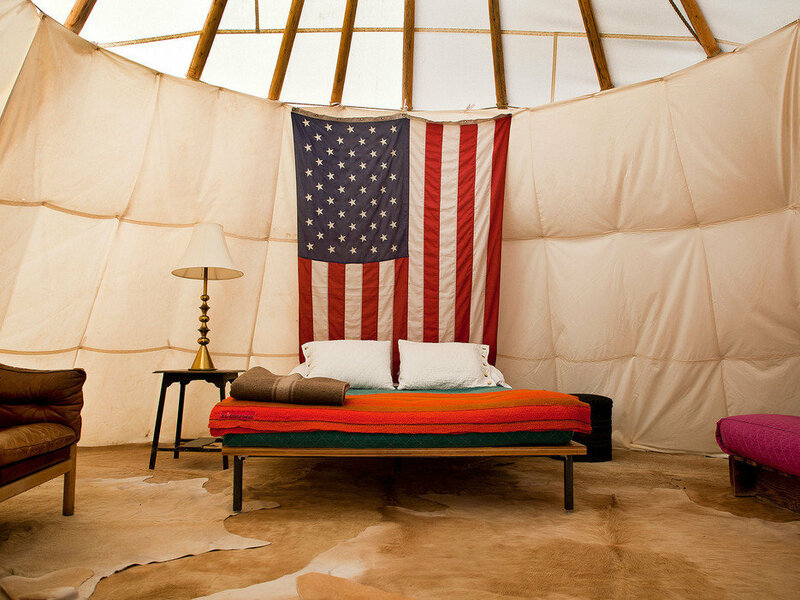 White tents, Moroccan lanterns, biscuit-colored cushions, caramel leather campaign chairs. 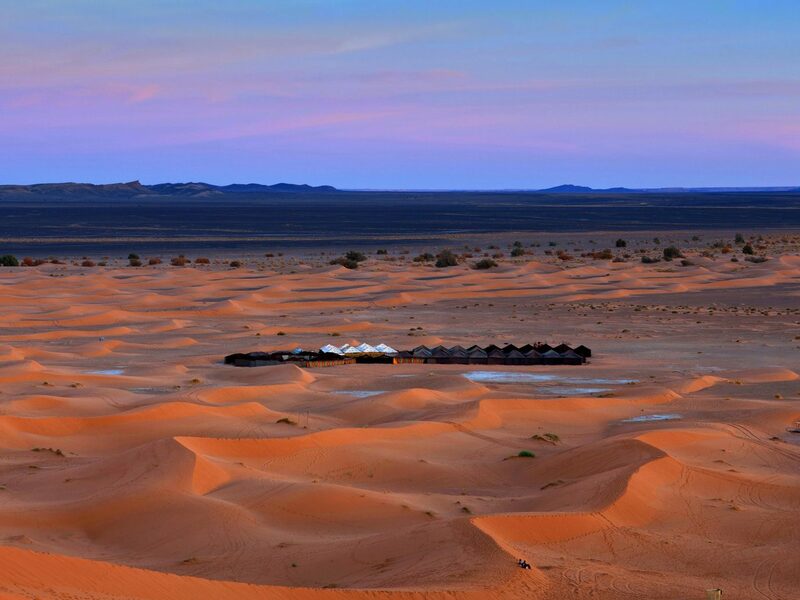 To say we’re lusting over the design of Scarabeo Stone Camp — a luxury camping experience in the middle of Morocco’s vast Agafay desert and surrounded by the snow-topped Atlas Mountains — would be a major understatement. Who doesn’t want to play with adorable penguins? 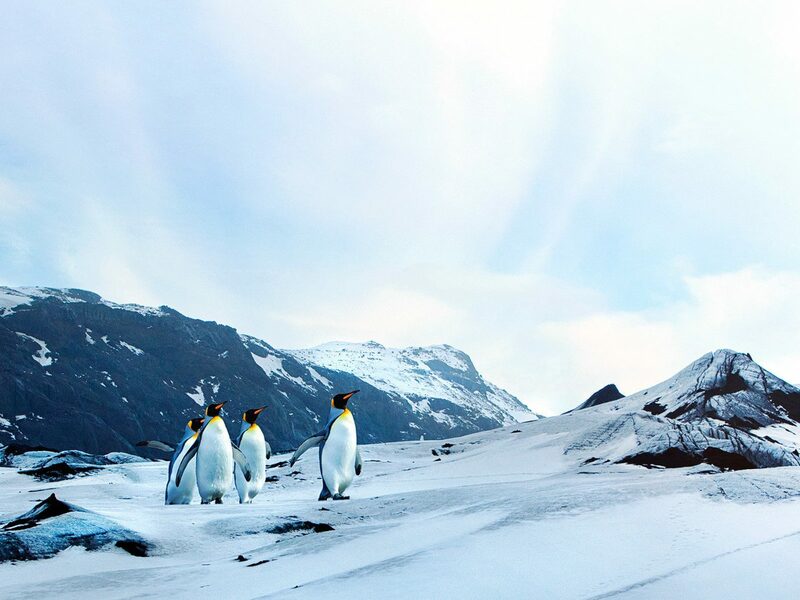 Rockjumper Emperor Penguin Safari takes adventurers on a four-night trip to the ultra-remote reaches of Antarctica’s Union Glacier to see the black-and-white birds in their natural habitat. 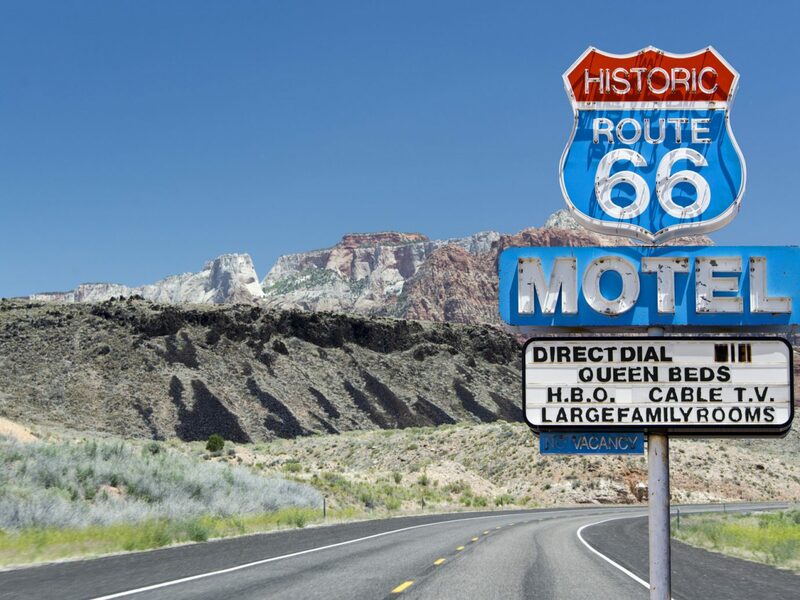 Pack your best camera – this is a trip of a lifetime with serious bragging rights. Montreal’s Bota Bota, a floating spa on the St. Lawrence River, offers spa treatments with unbeatable views of the city’s skyline. 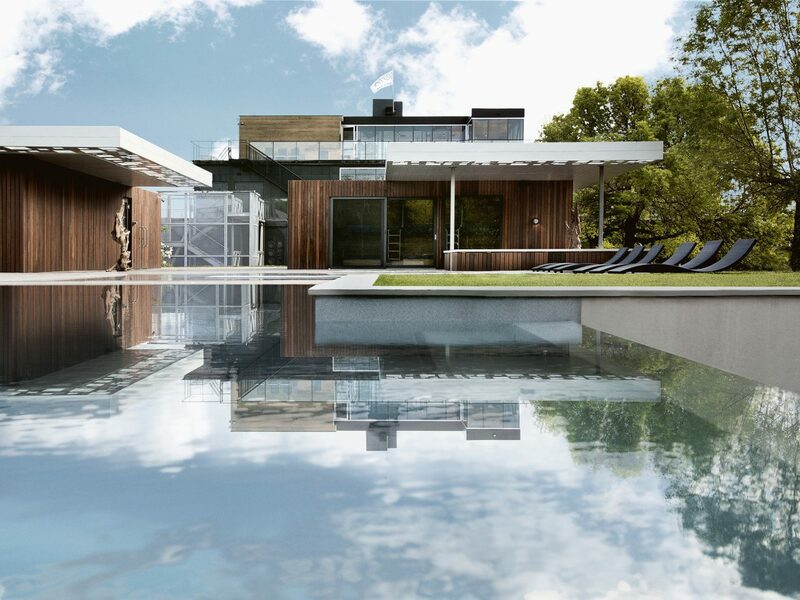 We would kill for a deep-tissue massage followed by a soak in the outdoor hot tub right about now. 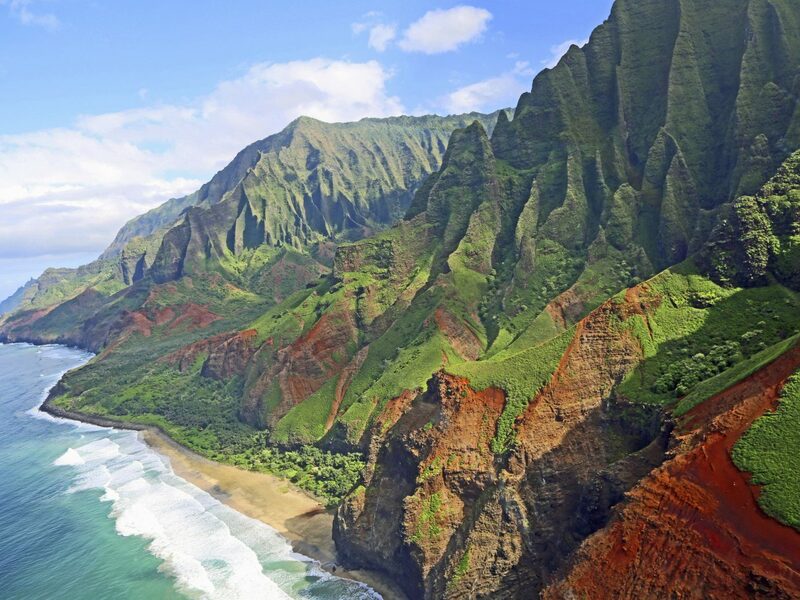 Kauai is almost too breathtakingly wild to be real. 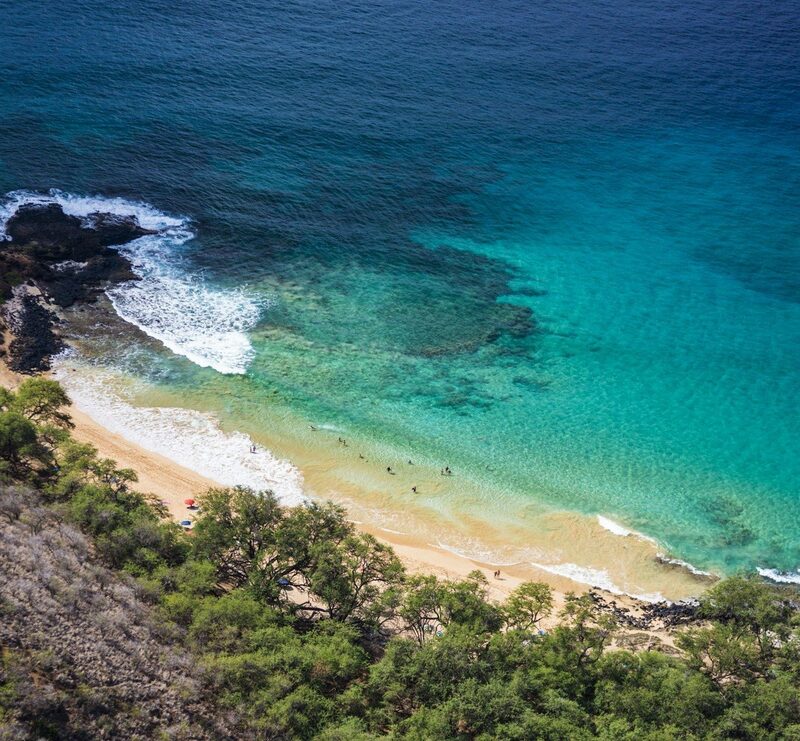 Fly over the rugged landscape with Blue Hawaiian Helicopter’s Eco Adventure, which includes a bird’s-eye view of the jagged cliffs along the Na Pali Coast, Manawaiopuna waterfall, Waimea Canyon (dubbed the “Grand Canyon of the Pacific”) and the center of Mt. Waialeale crater, with 5,000-foot walls towering above. 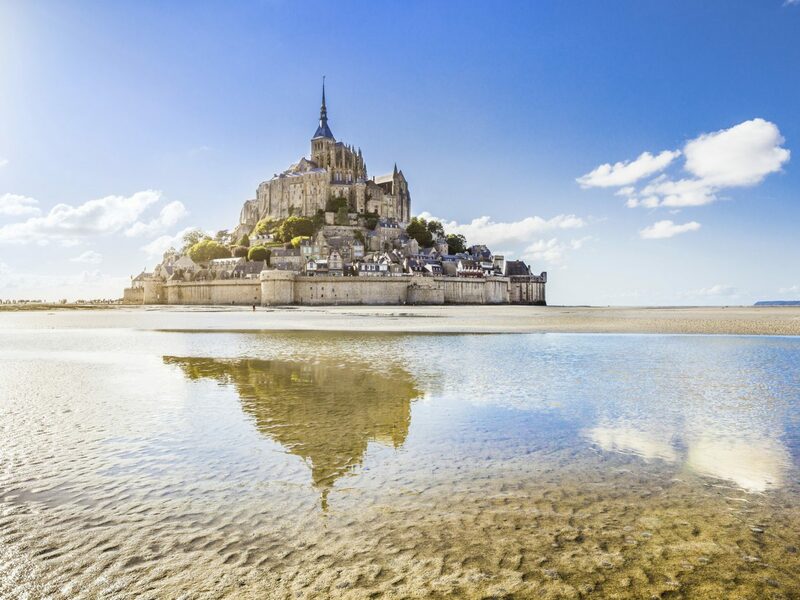 Wandering the winding medieval streets of Mont-Saint-Michel, past tiny stone houses, brasseries and creperies, all the way up to the tippy-top of the island...yes, please. And doing it after dark? As the tide comes in over the craggy bay? There's nothing more magical. 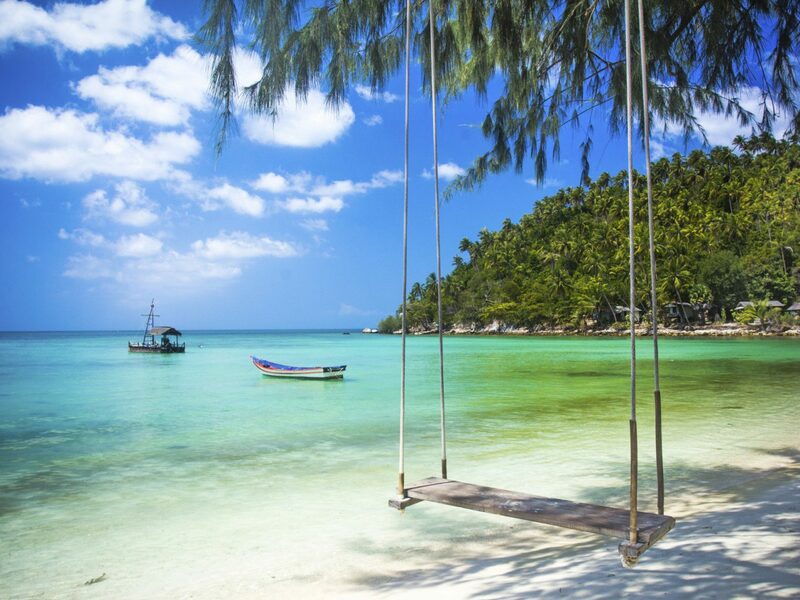 The Phang Nga Province in Thailand is everything we’d hope for in a far-flung island escape...and more. 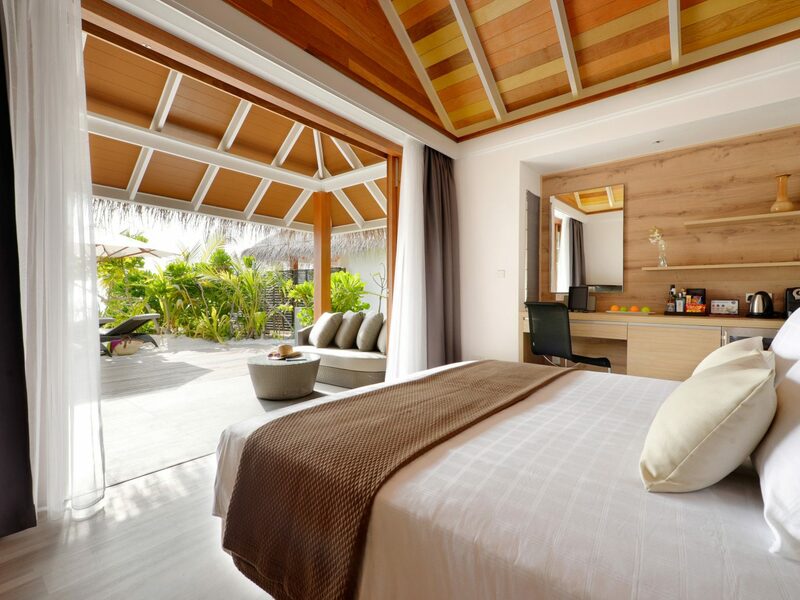 Think suntanning on secluded beaches, exploring secret caves, and swimming in bioluminescent water under the stars. 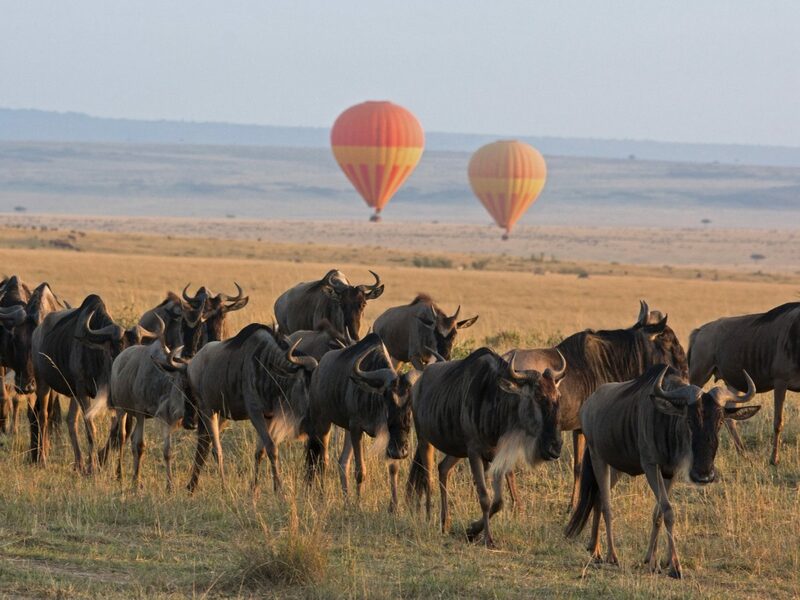 We can’t think of many things as epic as following a herd of migrating zebra across the Serengeti Plains, and from a hot air balloon, no less. When Monday has you feeling melancholy, picture this. 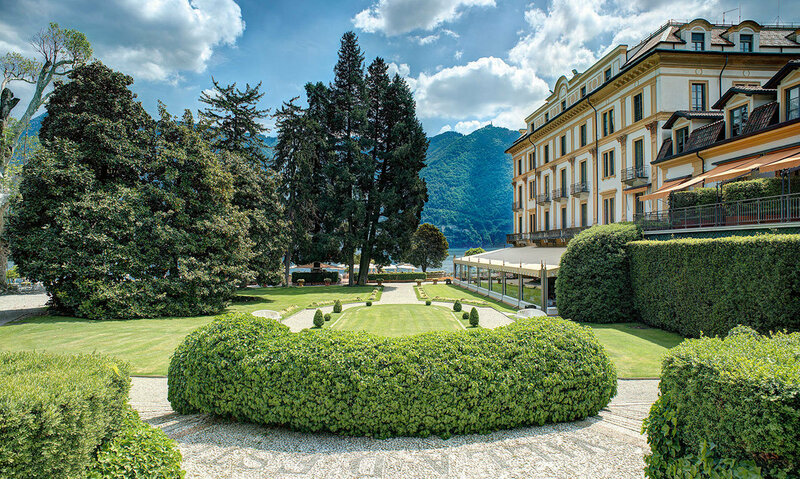 Lake Como is where the who’s who of Hollywood does summer vacay. We’d love to teleport to the floating pool at Villa d’Este to rub shoulders with the likes of Mick Jagger, Madonna and Paul McCartney. The Great Ocean Road on Australia’s southern shore is like Highway 1 on crack. 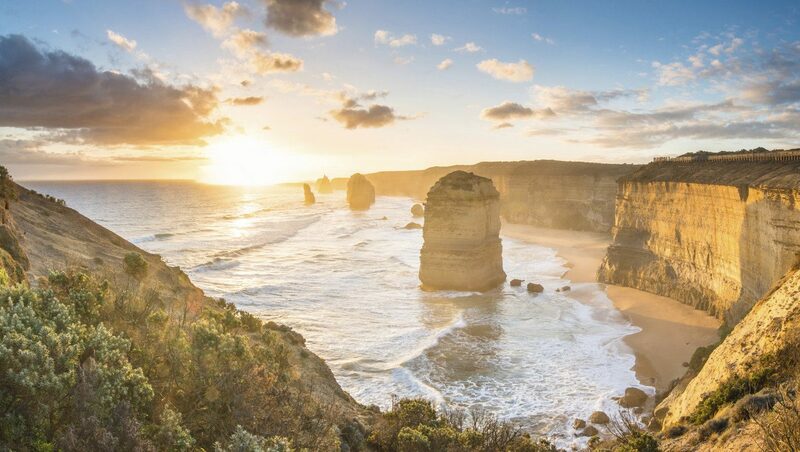 Picture cruising in a convertible along 151 miles of coastal curves, overlooking ocean cliffs, dramatic sea stacks (like the Twelve Apostles pictured above), untouched surf beaches, charming lighthouses, and even lush rainforest (not all of Australia looks like the Outback!). Look familiar? That’s because the Jacobite Steam Train is best known for its Hollywood cameo as the Hogwart’s Express. 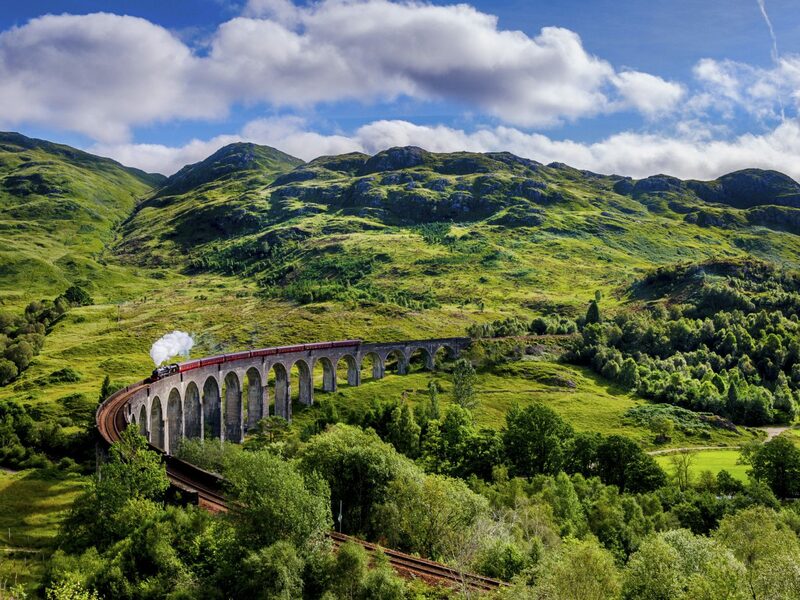 But HP fan or not, riding from Glenfinnan to Fort William in Scotland, is spellbinding. Lions, leopards and rhinos, oh my! 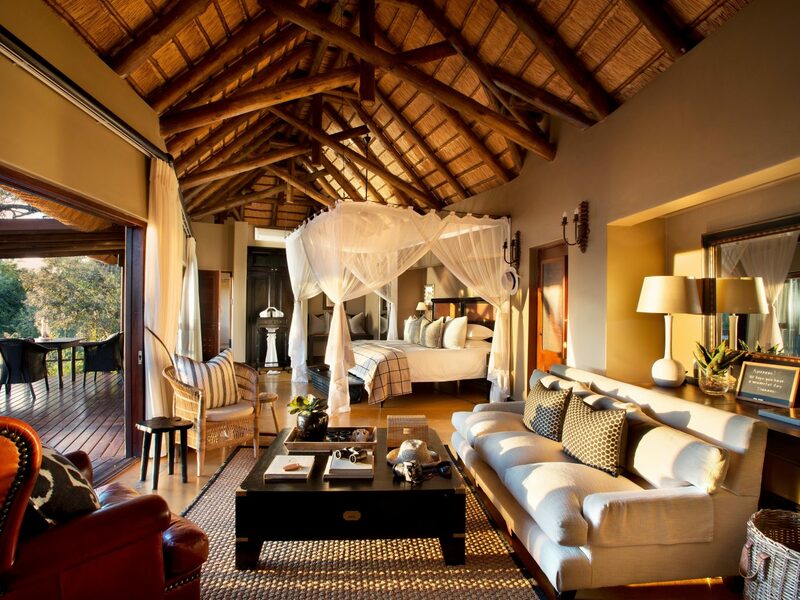 There are few vacations we’d truly describe as a trip of a lifetime, but seeing the Big 5 at a luxury safari lodge in South Africa definitely makes the cut. The design-forward suites at Lion Sands provide the perfect perch to watch the furry four-legged friends cool off in the Sabie River. NYC summers can be nothing short of hellish (humid, hot, sticky and smelly). 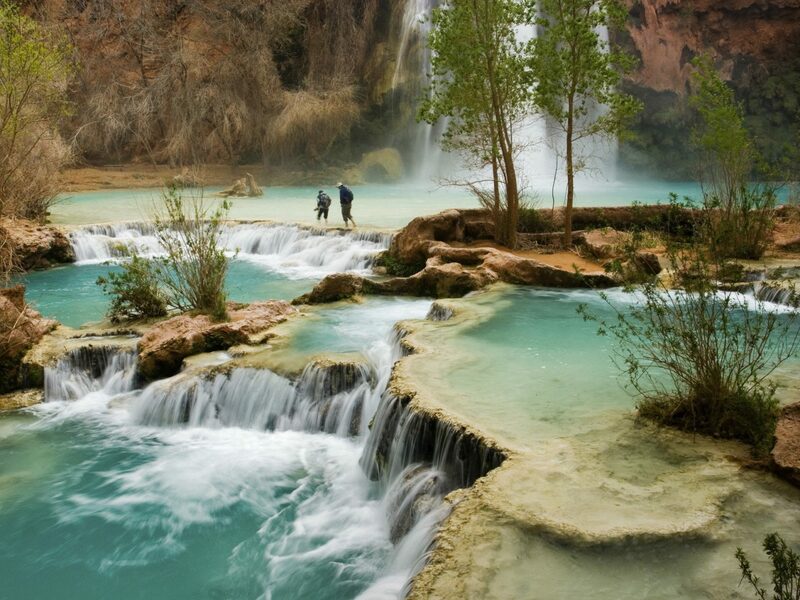 How about we go for a float on the refreshing waters of Havasu Creek? 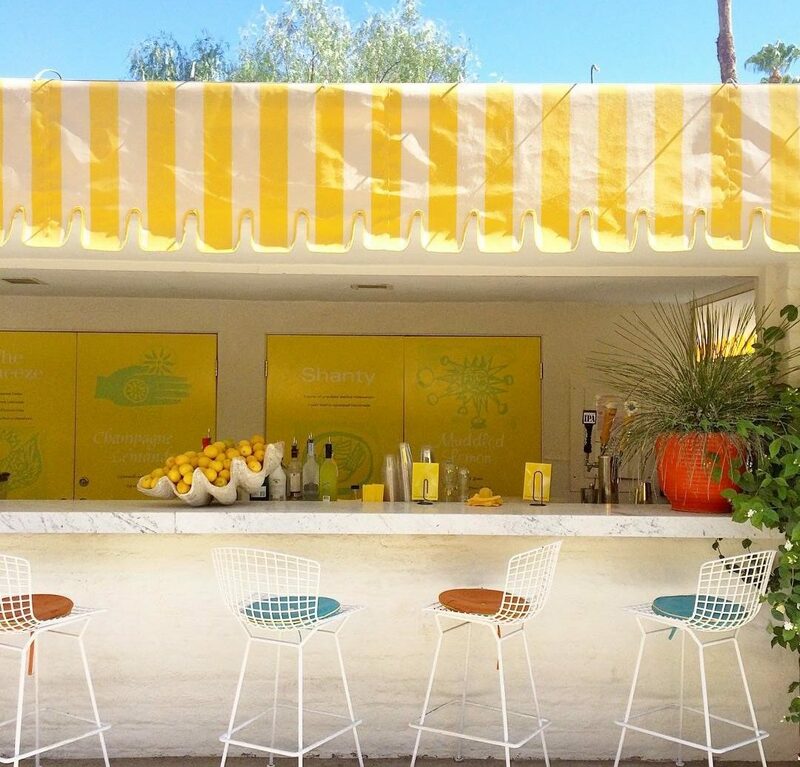 When we hit that afternoon work slump, it's time for a glass of somethin’ sweet from the Parker Palm Springs’s Lemonade Stand. 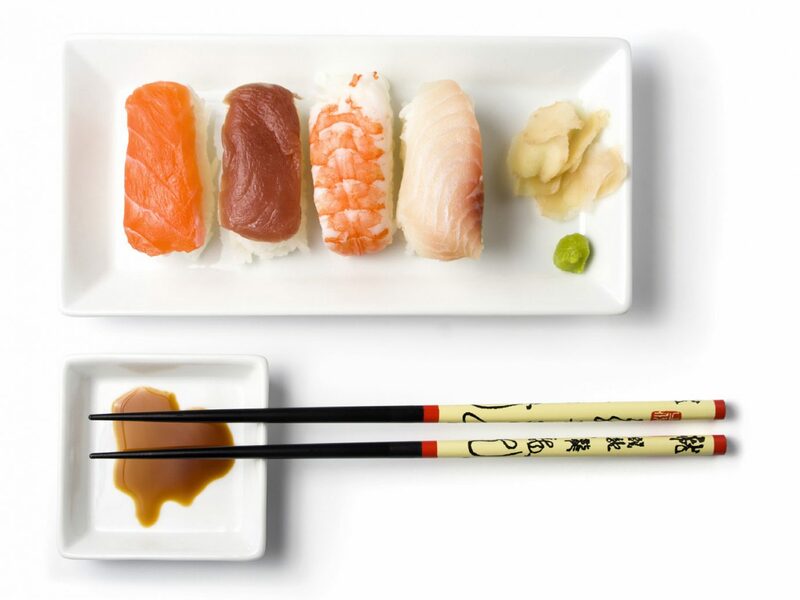 If we could spend all day, everyday stuffing our faces, we would. The first culinary stop of our international gluttony? Japan. There's the ramen, udon, sushi and okonomitaki (a pan-fried cabbage pancake topped with seafood, wasabi and cheese)...and of course, Mochi. We all deserve to be pampered a little. 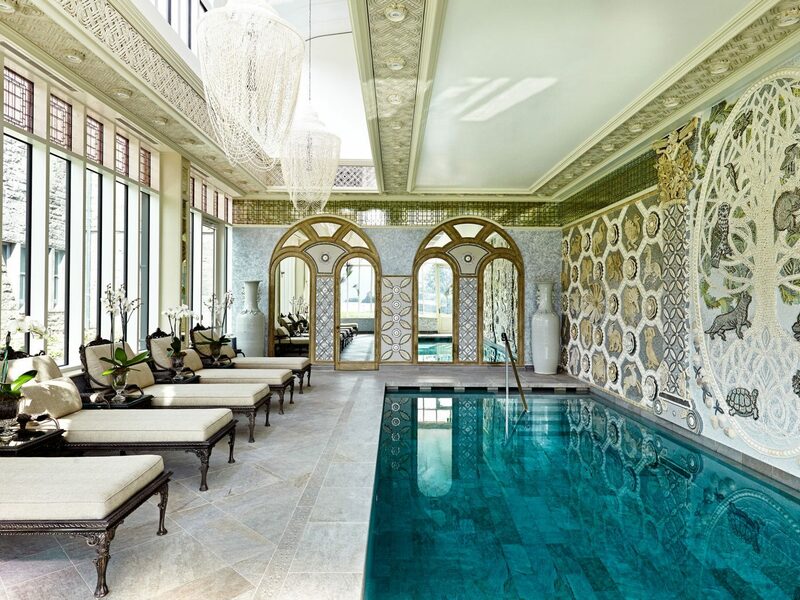 Check into the 82-room Ashford Castle in Ireland, and you’ll know just how it feels to be royalty. Take afternoon tea in the Inglenook Room (homemade scones and macaroons! ), then explore the immense grounds, which include the oldest Falconry School in Ireland. 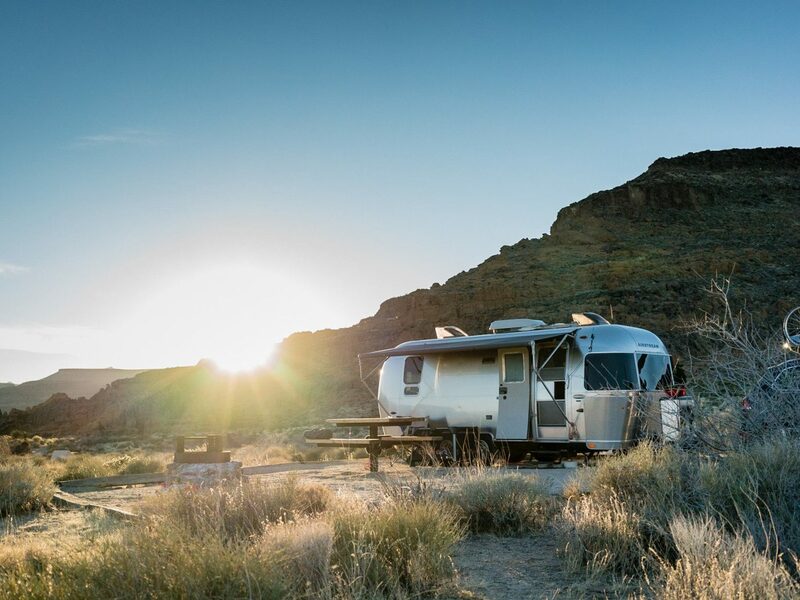 Because we don’t know about you, but the thought of sleeping in a vintage Airstream pretty much sends our millennial nostalgia into overdrive. We’re always down for a little retail therapy. 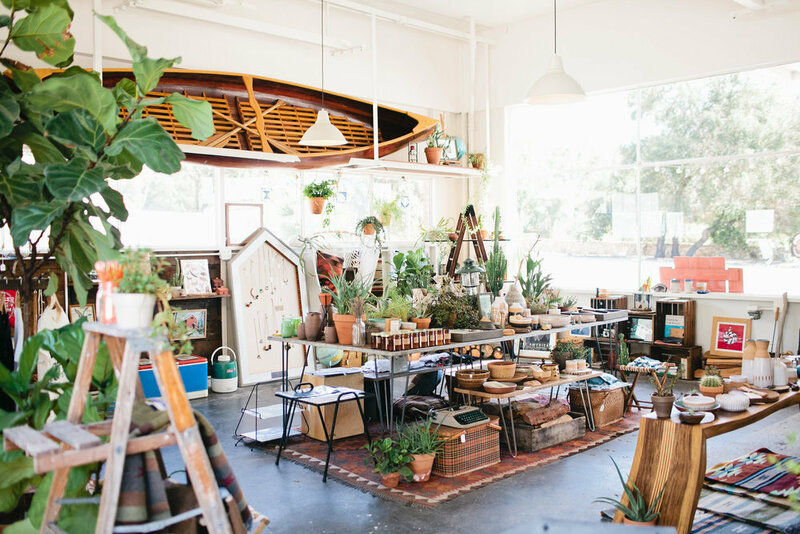 And at Summer Camp, a lifestyle boutique in mystical Ojai, CA, shoppers can browse everything from vintage Southwestern rugs to ceramics and small-batch apothecary products in a retro-inspired spot that once served as a service station. A swim in hot, mineral-enriched waters is exactly what the doctor ordered for our end-of-summer blues. 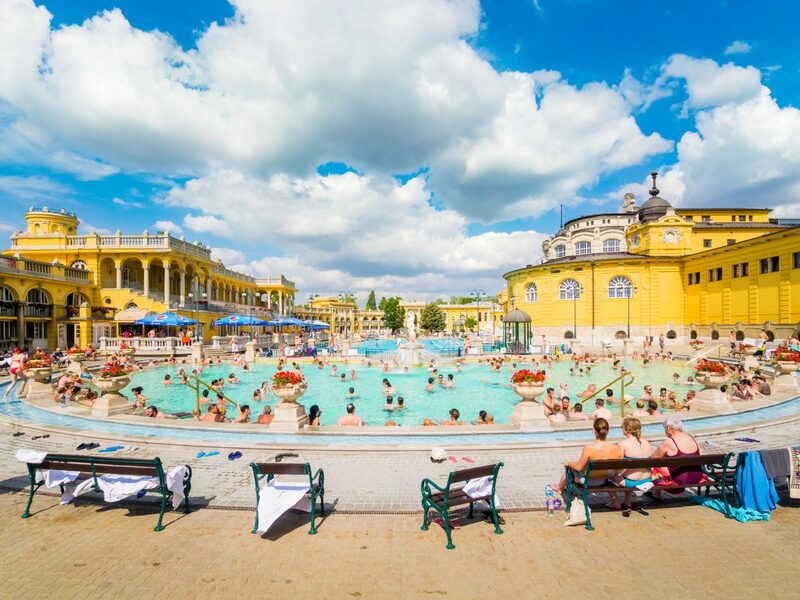 We're crazy about Budapest’s Szechenyi Baths, where medicinal pools are set against the impressive backdrop of neo-baroque architecture. 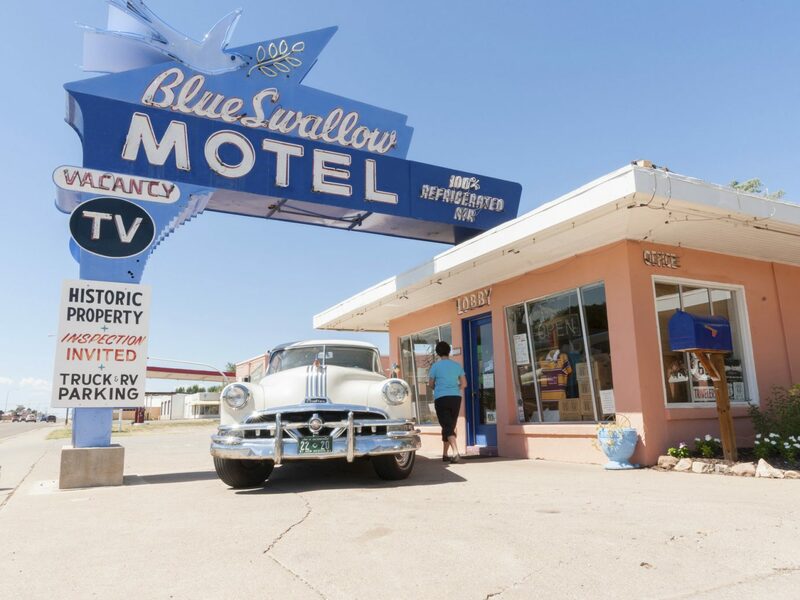 There’s road tripping the great West in your mom’s Subaru Outback, and then there’s road tripping in a retro pastel Volkswagen. We certainly know our pick. On days when the arctic blast from our office AC has us sporting hoodies, a desert escape sounds mighty appealing. 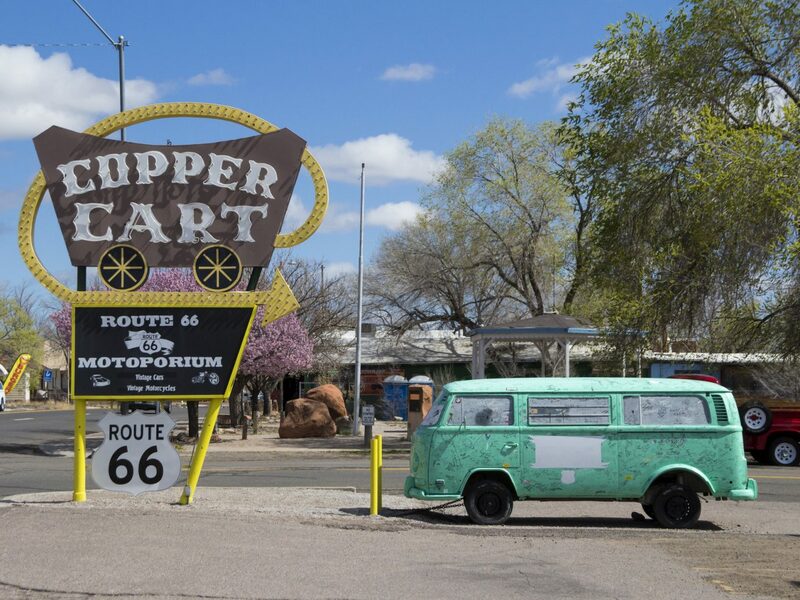 The vintage trailers, safari tents and teepees at El Cosmico are set under the big starry skies of Marfa, Texas. Our most common office daydream? Spending weeks yachting around the cerulean Aegean Sea with a group of friends. 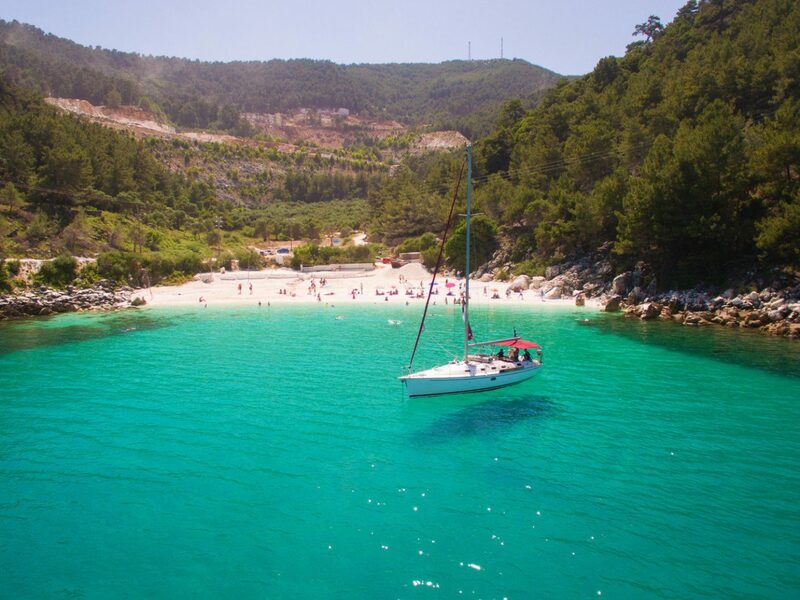 Between the white and blue villages on Santorini, Mykonos, Crete, or the smaller, secreted island of Skopelos, our seafaring wanderlust is never-ending. Perspective can change everything, and despite the fact that the rugged beauty of the Adirondacks shines from any vantage point, why not see it all spread out from the treetops? 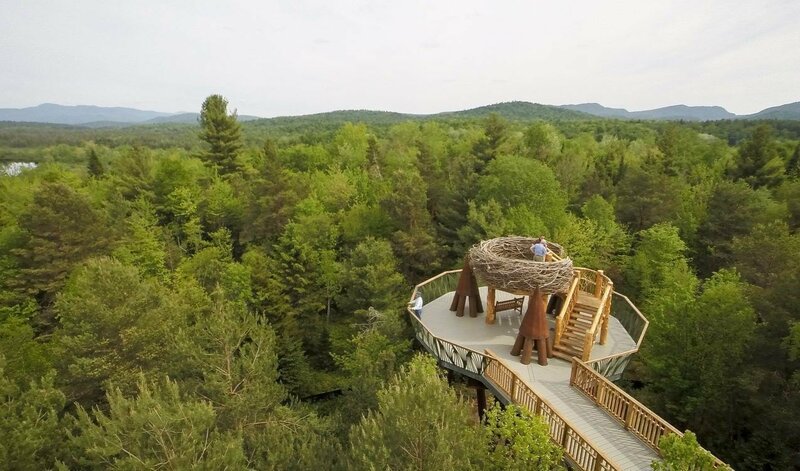 Check out the four-story high Wild Walk’s tree house. Mission accomplished. 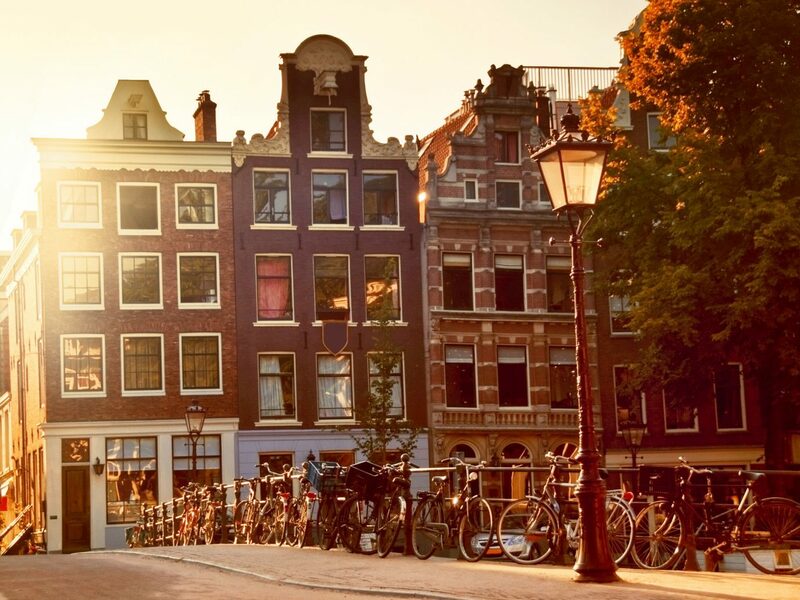 Some cities were made for walking, and others for driving, but Amsterdam was made for two stylish wheels. 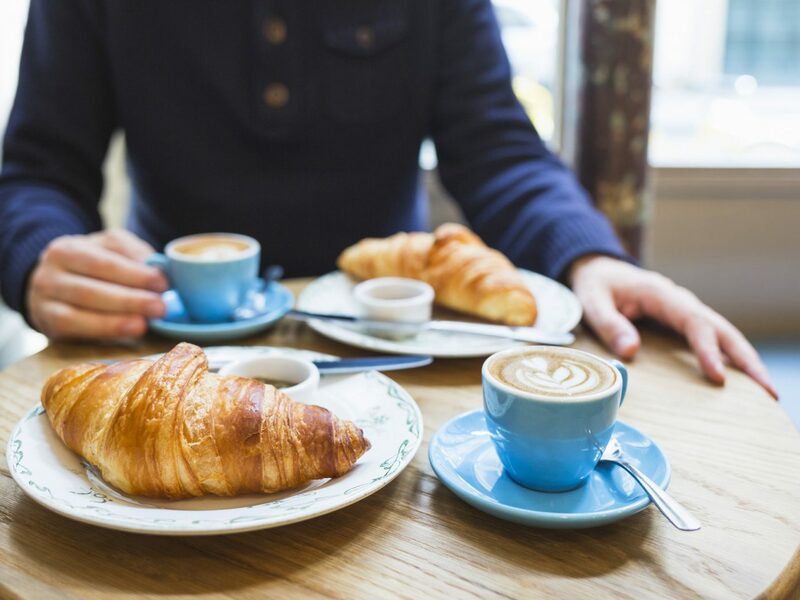 We’d love to be cruising through quaint cobblestoned streets in search of an XL stroopwafel and double espresso. We take our coffee black. But we’re dying to enjoy our morning cup of joe in the gorgeous white-on-white interiors of Trouble Coffee in West Oakland. (Just think of the Insta, guys). 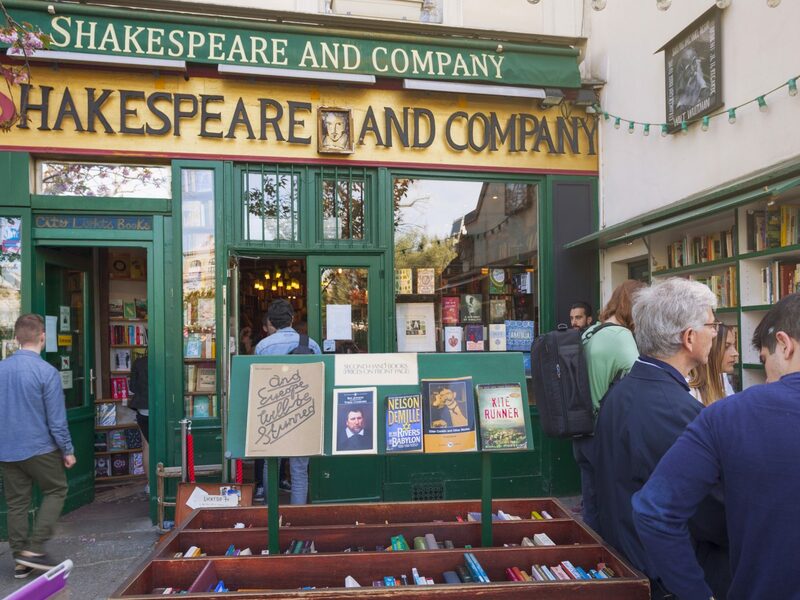 Surrounded by books is just about how we’d like to spend everyday, and at Paris’ famed Shakespeare & Company, there are more than a few nooks and crannies we’d venture to cuddle up in with a well-loved book in hand.